This event is organized by Bishop White Committee. Women's Rebellion in the Country of the Sun Goddess? According to Japanese mythology, the highest-ranking deity in Japan is the Sun Goddess (Amaterasu). The name “Himiko” appears in Chinese historical literature as an ancient female ruler of Japan. Despite occasional appearances of influential female figures in its 2000-year history, Japan today ranks 114th in the latest Gender Gap Report by the World Economic Forum even though more girls attend universities in Japan than boys. The latest census in Japan shows one out of four men in Japan has never married, and the average number of children per woman is 1.46. In the era of globalization and a rapidly aging society with fewer children being born, what is happening to Japanese women now? What are the political, economic, social and educational conditions of women in Japan and what are the Japanese men doing? 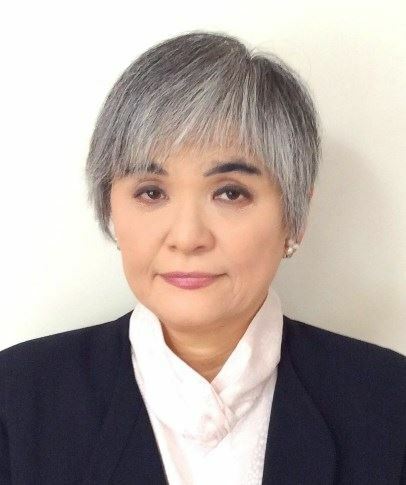 Our luncheon speaker, Ms.Takako Ito, is the Consul-General of Japan in Toronto, and the first woman to be appointed to that role. Consul-General Ito joined the Ministry of Foreign Affairs in Japan one year before the Equal Employment Act came into law in her country, and in addition to Toronto has been posted to Ottawa, the Japanese Mission to the U.N. in New York, Malaysia and the Japanese mission to ASEAN in Indonesia. Over her career, she has dealt with a wide range of issues including UN policies, regional security issues, human rights, economic partnership agreements, international media, and development assistance. Consul-General Ito is a graduate of the Norman Paterson School of International Affairs in Ottawa and was the Canadian female National Kendo Champion (Japanese fencing) in 1987. Chinese Luncheon by the chefs of Lai Wah Heen Restaurant. (incl. HST and Gratuities) with tax receipt for maximum allowable portion.